"Tina is an exceptional communicator with a comprehensive understanding of the food tourism landscape. She is highly skilled at developing and facilitating industry sessions and is impressively outcome-focused in her approach to all projects." "I have had the pleasure of working with Tina frequently over the past number of years. She has, without exception, been utterly helpful with her information and accommodating with her time. Tina is thorough, has a diligent work ethic and a methodical, impeccable track record with regard to project management and completion. I have learned so much from Tina and happily, continue to do so." "Tina is efficient in everything that she does and always delivers exactly what we need and on time. Most importantly, Tina has an on-going track record of very strong development and marketing achievements within the tourism sector. This makes her training so very real and relevant to those whom she delivers to. Looking forward to working with Tina for many years to come." 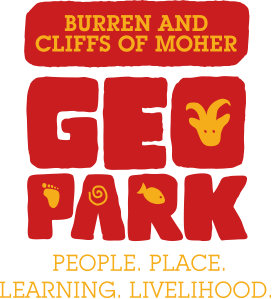 "I have enjoyed working with Tina in a number of areas: developing the Burren Ecotourism Network, promoting our Geopark as a sustainable destination and building innovative products in the food tourism arena. Tina shows great leadership and is also a true team player. She has wonderful clarity of vision and can articulate action plans clearly and in a way that really engages stakeholders." I invest significantly in my own learning - through professional coaching, formal training, and participation in conferences and seminars. I also spend a lot of time reading, following social media and you-tubing. I have a BA and MA in the areas of marketing and linguistics. I hold more recent certifications and qualifications in professional coaching, training, facilitation, leadership, ecotourism and adult education and learning. I’m a member of Mensa and the International Coaching Federation. In addition, I speak Irish, German and French and am very happy to work in Irish as well as English. A number of projects which I have led or collaborated on are regarded as tourism industry innovations. Some achieved Irish, European and global award recognitions in the recent past – Foodie Destination Award 2015, European Destination of Excellence (Tourism & Local Gastronomy) Award 2015 and National Geographic World Legacy Award 2016.